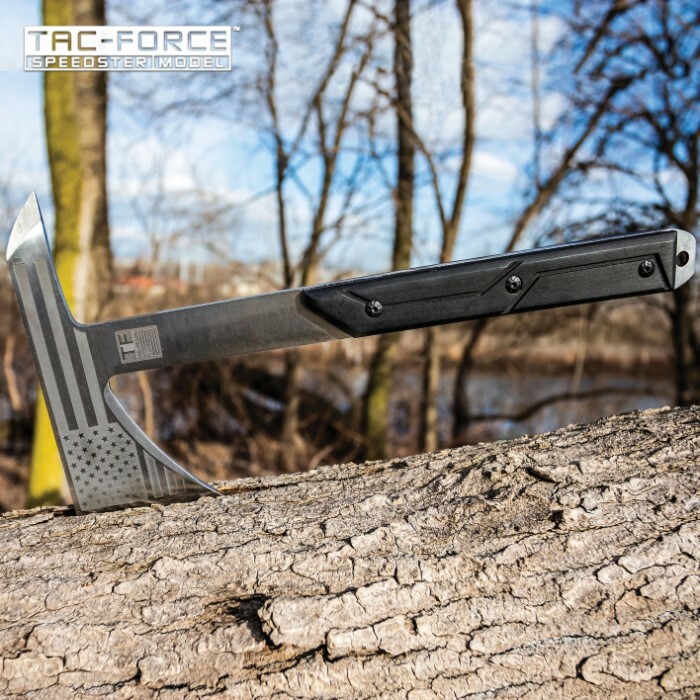 The compact Tac-Force USA Tomahawk Axe is a great versatile tool to have around and even better, it’s got a patriotic flair! It has a full-tang, 3Cr13 stainless steel axe head with a razor-sharp, 3" satin-finished blade and an American Flag etch. The handle scales are black pakkawood that are secured to the tang with sturdy screws and the handle has a lanyard hole. The 12 1/4” overall tomahawk axe comes with a sturdy nylon sheath with snap closures to protect the head and blade.